The Ninety-Nines is the international organization of women pilots that promotes advancement of aviation through education, scholarships, and mutual support while honoring our unique history and sharing our passion for flight. 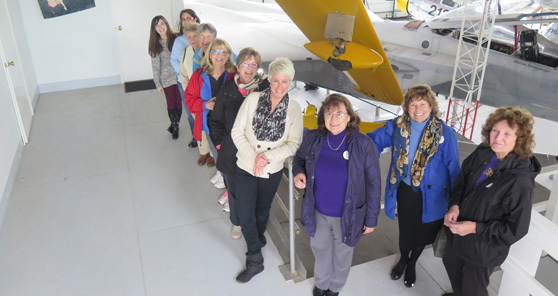 We are a fun group of ladies who love to fly and want to encourage others to join us and share that joy and thrill! Our Chapter area includes much of the northernmost part of California. We have members from the Redding area, but we also have members in many of the outlying areas in the surrounding mountain valleys. We need to understand mountain flying and density altitude and we try hard to stay current and safe! Our Chapter is a member of the Southwest Section of the 99s. Our Chapter was chartered on June 19, 1975. ©2019 Mount Shasta 99s. All Rights Reserved.